This 3D printed sculpture by British-Columbian artist Matthew Plummer-Fernandez was specially commissioned by York Mediale. 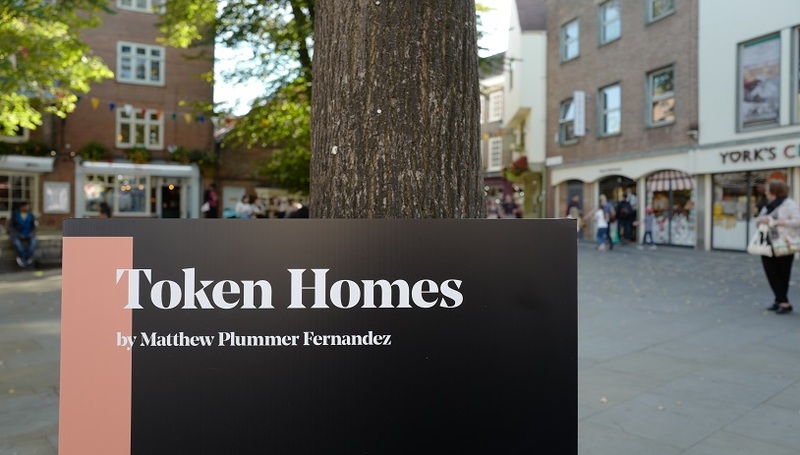 Matthew has spent the last six months as our Artist in Residence, collaborating with us, York Mediale and our parent company Stage One to produce Token Homes, a playful statement on the growing housing crisis. Matthew’s work uses data and 3D modelling to create sculpture, software, online interventions and installations. His work is known worldwide and is exhibited at the Pompidou Centre in Paris, at the V&A and Somerset House in London. 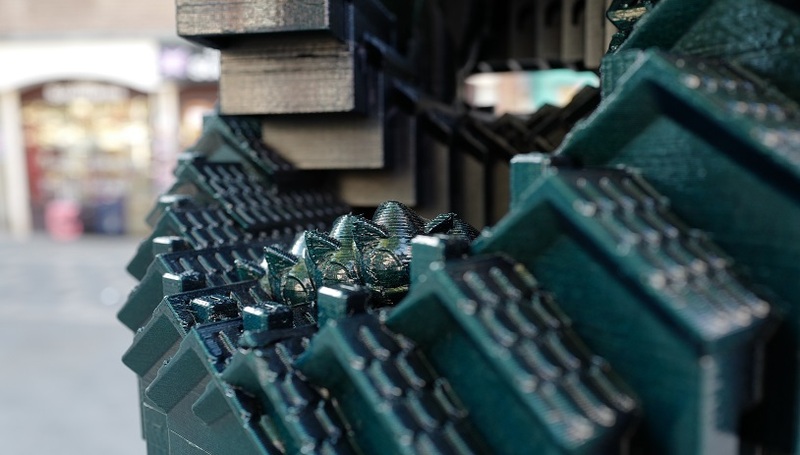 To ensure that his Token Homes sculpture would be engaging and relevant for the Mediale audience, a survey was set up asking the public to share their ideas of things that could be incorporated into the design. 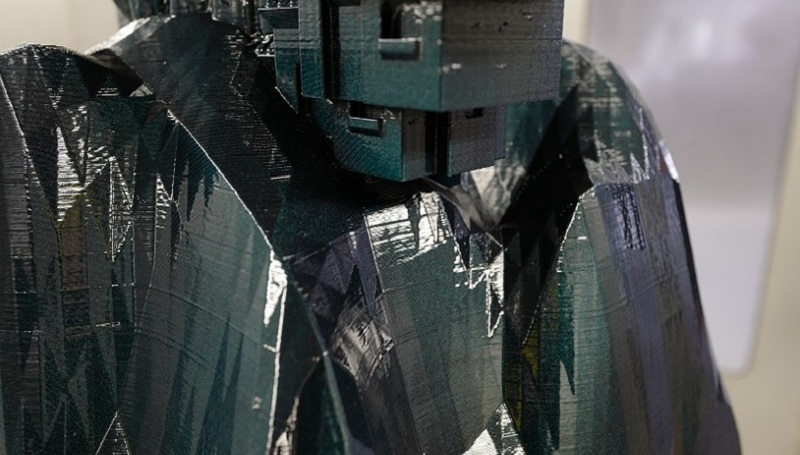 The 2.5m tall sculpture was printed on our Fortus 900. This machine offers the versatility required for printing at size whilst also achieving excellent detail. It took a total of 370 hours to print in 15 individual pieces, our Magics software simplifying the process of deciding the best way to join the pieces together. 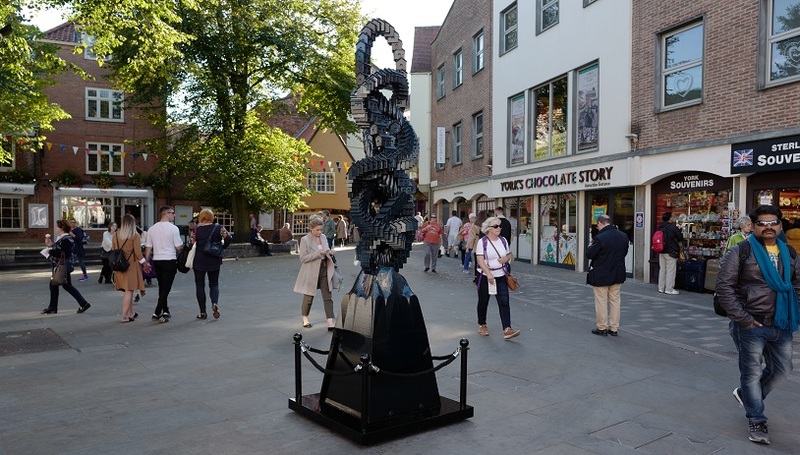 ASA was chosen as the print material due to its relative stability in UV light, making it perfect for the outdoor location in the heart of York. Our sister company, Stage One, assisted with the final finishing stages, applying the blue-green iridescent sheen. This finish was sprayed over the black print material, adding depth whilst also highlighting the intricacies of the design in different light. Throughout the process, we worked with Matthew to refine various elements of the design, ensuring that we would be able to produce the artwork on time and on budget. 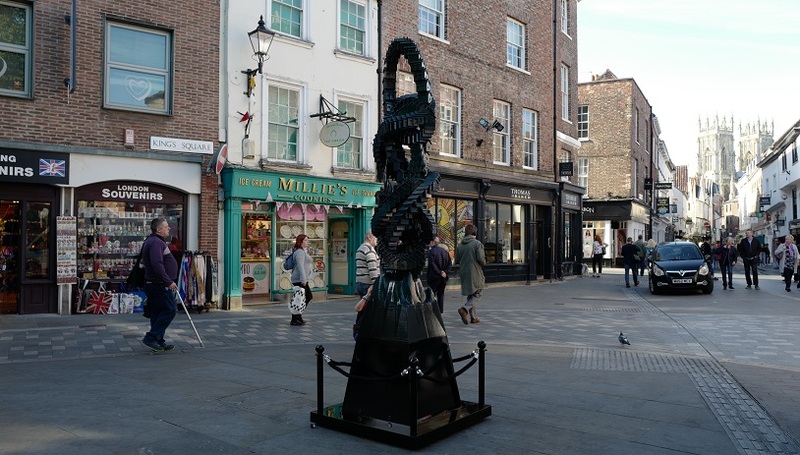 Token Homes can be seen in King’s Square, York from 27th September to 6th October 2018.